Masons and stone carvers, highly experienced in all aspects of stone repair, cleaning and restoration. Boden & Ward is an experienced main contractor, sub-contractor and supplier of stone. It specialises in restoration of stonework to historic buildings and monuments as well as carrying out stonework repairs to private homes. The company designs and produces internal staircases, fireplaces also carvings, fountains etc. 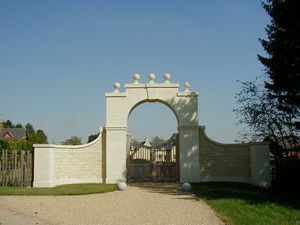 Please see Boden & Ward's website to view the wide range of stonework the company has carried out. A stonework consultancy service is also offered.